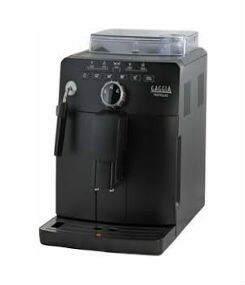 Gaggia Brera is the latest bean to cup super automatic espresso machine from Gaggia that delivers excellent quality coffee drinks in style and comfort of your own home. 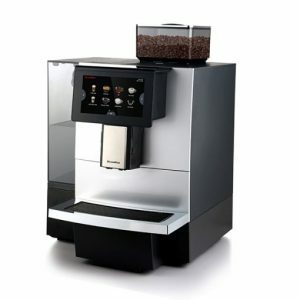 SKU: Gaggia Brera1 Categories: Automatic Coffee Machines, Home Coffee Machines Brands: Gaggia Coffee Machines. 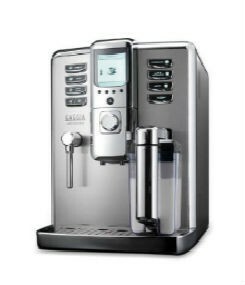 The Gaggia Brera is the latest bean to cup super automatic espresso machine from Gaggia that delivers excellent quality coffee drinks in style and comfort of your own home. This compact and lightweight espresso machine comes with electronic controls, LED display, 250g bean hopper and 15 bar pressure pump for outstanding results. Its integrated ceramic coffee grinder gives you 5 choices for ground coffee while removable brewing unit, stainless steel boiler and 1.2 liter water tank ensure that this super automatic espresso machine is easy to clean. Metal Pannarello for hot water and steam, Gaggia adapting system, Optidose, ground coffee doser, prebrewing, rapid steam and cup shelf are among other features and functions of Gaggia Brera super automatic espresso machine.